It may be time to consider one of the best honeymoon cruises as an option for your honeymoon getaway. You’re dreaming of a relaxing honeymoon, but you don’t have the luxury of planning the getaway on an unlimited budget. A cruise is the best option in this case because many of your expenses are covered once you pay for the trip. This is a great way to visit some exotic locations that you couldn’t otherwise afford, even it’s just for a single day or overnight excursion. As long as you stick to amenities and meals that are included in the trip, you’ll have limited added expenses while on the cruise. To help you find some of the most affordable options, consider our top picks for low-cost honeymoon cruising. The average per-person price for this trip is under $400. You may opt to add excursions to your trip to make your off-board experiences more rewarding, but that isn’t necessary to have a great time in the Bahamas. This four-day cruise starts and ends in Los Angeles, California, and will allow you to enjoy off-board excursions in Santa Barbara and Ensenada, Mexico. 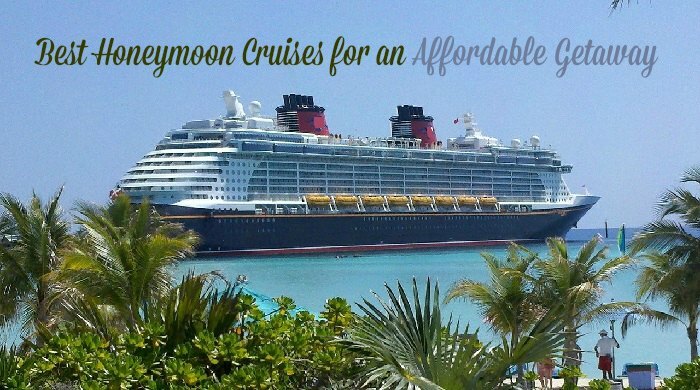 If you choose one of the more affordable staterooms, you can expect to pay less than $400 per person on average. This price includes three meals a day and non-alcoholic drinks, including many items delivered through room service. The most affordable cabins will fill up fast, so it’s best to book your trip as soon as you find a cruise that suits your preferred travel dates. This isn’t one of the Norwegian cruise ships that offer the free open bar, but many of the cruise line’s special promotions will apply to this trip. Make sure that you check the deals to get the best possible price. You can book a four-day, round-trip cruise to Mexico for less than $200 per person on average. This price only applies to some of the interior staterooms, so you will need to reserve your tickets as early as possible to ensure that those cheap rooms are available. The trip starts and ends at the Long Beach port in Los Angeles, and you’ll enjoy one day on Catalina Island and one day in Ensenada. The cruise ship includes a water park, multiple bars and restaurants, a nightclub, and a music studio. All of this is included in the price of your ticket. When comparing cruise prices, keep in mind that you need to travel to the starting port and then back home. This may make some higher-priced cruises more affordable for you, depending on what you might spend on transportation. You can always spend a day or two in your departure city, expanding your honeymoon to make the most of those transportation expenses. Is a Romantic Cruise Vacation a Good Option for a Honeymoon? Find out how we beat the other guys 85-90% of the time! If you don’t yet know where you want to spend your vacation, take a minute to see what popular honeymoon destinations other couples are jetting off to this year. All-inclusive honeymoon destination options allow you to show up and enjoy your time without as much concern about finances. Regardless of your age, your energy seems to never stop. The top honeymoon vacations on your list should reflect that spirit.